One of the worst tastes you can experience in your whole life is the taste of unfiltered tap water in the morning. This feeling of disgust is even enhanced if the night before you had a few beers. The alcohol in your stomach and the bad-tasting water from the faucet make a perfect couple of sordidness. On the other hand, it does not have to be alcohol-related. Certain types of water, especially those coming from a town water supply system, simply have a bad taste. However, it does not have to stay the same way. Although you cannot change the source and the pipes in the supply system, you can act locally and get water purifiers for your home. But it is not as simple as just going to the nearest store and getting a new water filter. While you can follow this path, of course, it is still better to get some insight into the types and purposes of water filters. In this text we are going to do right that. Before you visit a water filter store, do some tests with your water. You cannot know what to buy if you do not analyze the chemical compounds that dominate the water your drink. The testing can be done in several ways. The most credible way is taking a sample of water into a chemical lab to have it tested. Of course, you can also examine it with a water-testing home kit, but it will not of the same quality as it is when the professionals do it. However, try to avoid the lab inside your water provider. They can sometimes forge the results. It is not only obligatory only for the users of town water systems. 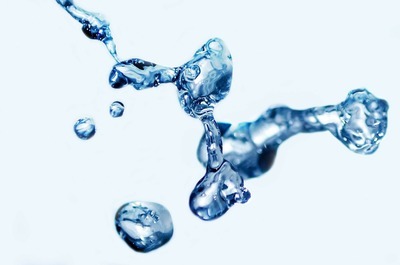 Even if you have your own water supply from your own well, you still need to have your water tested from time to time. This is especially necessary after heavy rains or floods. 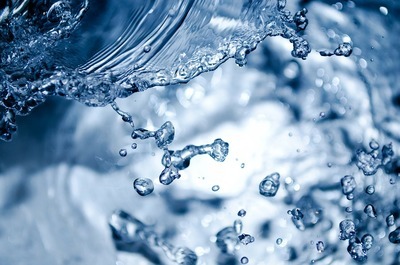 Only when you find out the agents in your water, you are ready to go and do the purchase. Depending on the level of pollution of you’re the water you use, you can go for different filters to get rid of various contaminants. Also, you can create a multi-layer water filtration system, in which you just combine several filters and filtration methods. However, this might be a bit pricy. The most popular among water filters are carbon filters. Due to the positively charged filter, all the unnecessary substances, contaminants and poisons stay in the pores of the filter. These filters are the most affordable ones, as well. Apart from carbon filters, or better to say in combination with it, we have the process of distillation. In this process water evaporates, so that all the harmful substances are left behind. Once the steam is converted to water again, it is stripped of most of the contaminants. However, some more agile compounds can survive the operation, so that is why it is good to combine it with another filtration method; for instance, carbon filtration. Kitchens are not the most spacious rooms in many apartments. Due to that, it is not an easy task to find a place for a water filter. Since there is a range of water filtration systems, you can choose either to install a filter at the point where water gets into your home (the entry point) or filtrate water through smaller systems, such as water pitchers. Entry-point filters are do a great job in removing bad smells and odors (which would help beer drinkers), but for more thorough chemical purification, you have to add another form of filtration, to remove other contaminants. The decision what type of filtration to choose depends on the results of the water analysis (from the first paragraph) and on your budget, of course. The filtration systems that are placed under the sink work under bigger pressure, so they are more efficient. In addition, if after all the filtration you still have skin irritation, it would be smart to install an additional water filter in the showerhead. Today you cannot rely on the honesty of water provider, but you have to take your own health into your own hands. So, go and analyze the water you drink and get the appropriate filter. That will at least minimize the bad effect that polluted water has on our health.